I think the tricky thing about getting a good black and white water fall photo is catching the right lighting. I shot the above photo of Muddy Creek Falls in Swallow Falls State Park in Western Maryland on a fairly overcast day. I typically try to shoot the falls employing slower shutter speeds, (i.e. 1/30th, 1/15th and so on) so I can get that smooth pearl effect. The brighter the day, the harder this is as the water becomes so bright the photo’s contrast becomes less manageable, unless you use a filter, which is not something everyone has on hand. By the way, one of the best books I have read on waterfalls is titled North Carolina Waterfalls by Kevin Adams. 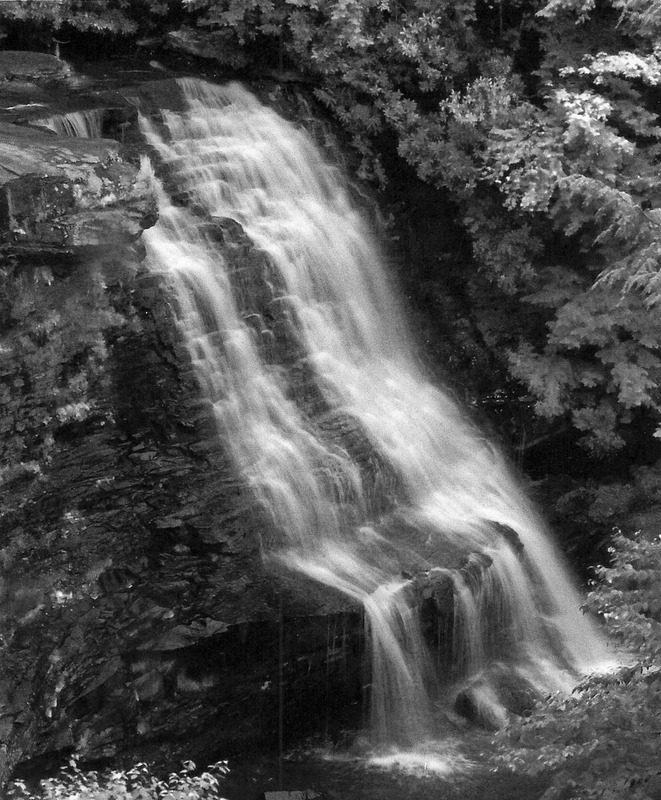 While Kevin’s book is centered around the waterfall rich area of Western North Carolina, he provides tips and examples that are helpful to anyone photographing falls. A photo tip for photographing Muddy Creek Falls, if you read my earlier post, No Tripod, No Problem, I am always looking for make shift tripods. Muddy Creek is surrounded by several observation decks perfect for stabilizing your camera for those longer exposures. I always try to have a small plastic bag with me so I can rest my camera on the bag and to keep the camera dry. If you go to the park and do not have a bag, be sure to grab a doggy bag from the dispenser on the way into the park, they work perfectly. Photos by Rob Paine Copyright 2013. To see a gallery of some of my Deep Creek Lake, MD photos, please visit the following link Deep Creek Lake. 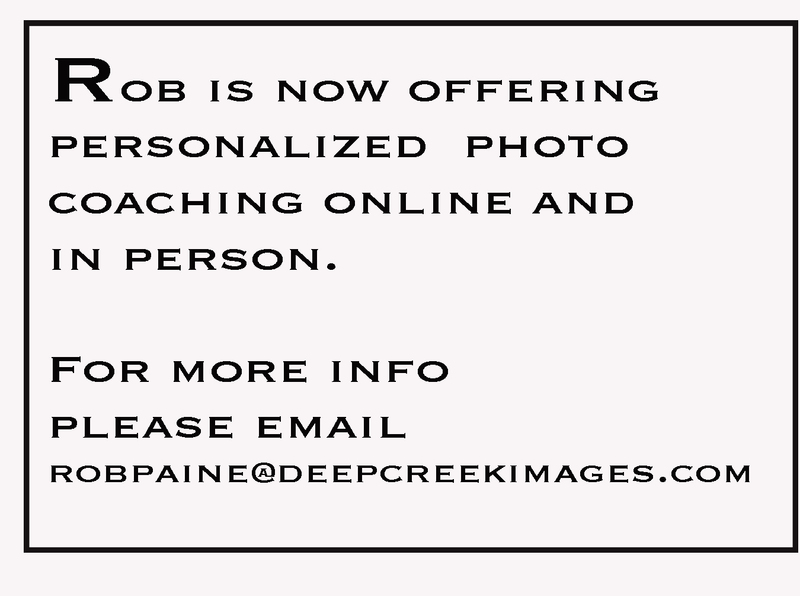 I love the background information to your image, it is so helpful in my progression as a picture taker.